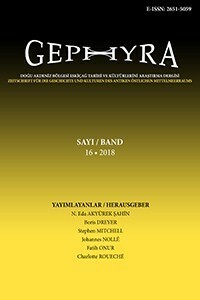 GEPHYRA is an open access online journal compiled by the Research Centre for Mediterranean Languages and Cultures of Akdeniz University to publish contributions from all fields of research into Asia Minor and the Eastern Mediterranean, insofar as they shed new light on the history and culture of this geographical and historical region. Epigraphic, archaeological, numismatic and art historical contributions, commented and evaluated material presentations, as well as historical reflections and essays are all equally welcome. 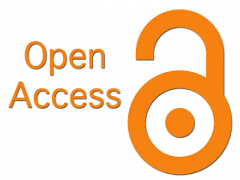 The content of this work is licensed under a Creative Commons Attribution-NonCommercial-NoDerivatives 4.0 International License. The Andriake Marbles: record of “a small ruined temple of very white marble” -a Roman 1st-2nd century hilltop mausoleum and coastal navigational marker at Andriake, Lycia, that disappeared in the early 19th c.